What Is A Red Light Traffic Ticket? A Red Light Traffic Ticket are something most motorists have to deal with at one point or another. Although many traffic violations are just annoyances, some can be quite expensive. Getting a ticket for running a red light is one such violation. These tickets are pricey and can get you into trouble, often times much more expensive than a speeding ticket. Traffic lights usually consist of a red light, yellow light, and a green light. A green light denotes that you have the right-of-way, and it’s safe for you to proceed. A yellow light means you need to be slowing down and stopping. A red light means that you need to be stopped or in the process of stopping before the light. If you run a red light, meaning you keep going without stopping, you run the risk of getting into a collision with another driver, pedestrian, or getting a ticket. Even when you acknowledge the red light, slow down, but keep rolling instead of stopping, you’ll get a ticket. The red light traffic ticket may be issued by a police officer in person, or you may be sent a ticket in the mail if taken by a photo radar trap. Many intersections now have a photo radar in place to catch people running red lights and speeding. When this happens, a ticket is mailed to you, and you pay the fine when the ticket arrives. Why Are Red Light Traffic Tickets So Expensive? No ticket is cheap, but red light citations are more expensive than others. How much you pay depends on your location, but California has some of the most expensive fines. In California, you can pay up to $480 for red light violation. There are several reasons why these tickets are so high. First of all, issuing tickets to motorists is a solid revenue stream for the city and the state. Millions of dollars in revenue are brought in every year through traffic citations. Secondly, high-priced tickets are a deterrent. The higher the ticket price, the more likely people won’t push their luck and do something silly. This makes sense as running a red light is so dangerous to you and to others. 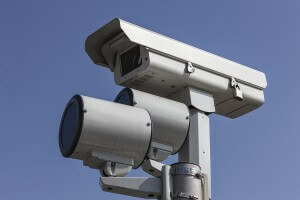 Many will get a speeding ticket every now and again, and some may get a ticket for expired plates. However, you don’t want to be running red lights at all. If you choose to do so, you’re now aware of the consequences. i have read your full post about Red Light Traffic Ticket Search. it is a very important article about traffic ticket. thanks for this nice post. Thanks for the feedback. Please let us know if we can assist you with a traffic ticket search or driving records of any kind. Our premium database resources allow you to search unlimited red light traffic tickets. Also check out our Free VIN Decoder below.